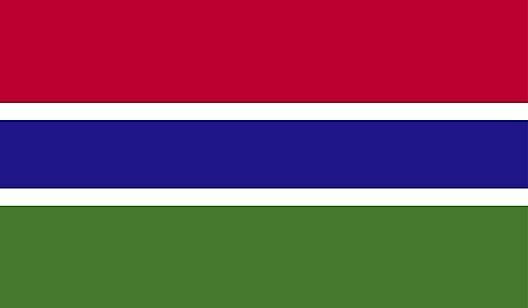 The Gambia flag was officially adopted on February 18, 1965. Red represents the savanna grasslands, blue the River Gambia and green the country's forests. 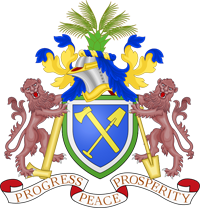 The Gambia's coat of arms showcases two lions holding onto an axe and hoe (symbols of agriculture), and supporting a shield. A heraldic helmet rests above the shield, and an oil palm above that. The national motto is displayed on a ribbon below.